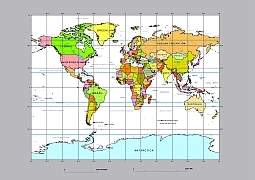 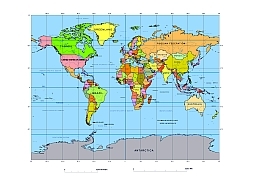 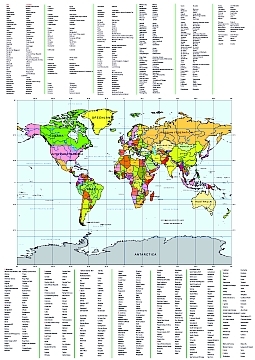 Editable royalty-free map of Gall projection (square format) in vector-graphic online store. 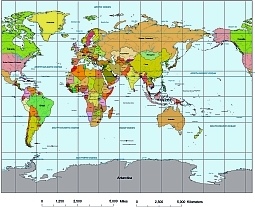 Colored world map with reference lines. 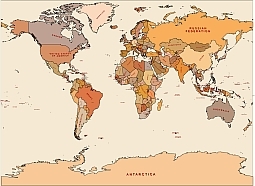 Colored world map with countries, oceans. 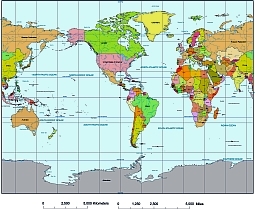 America centered colored World map, rivers. 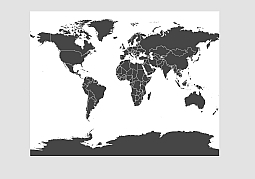 Gall projectioned individually world map. 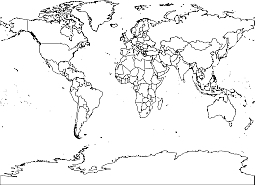 World countries. 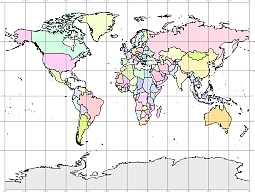 Black filled outlines. 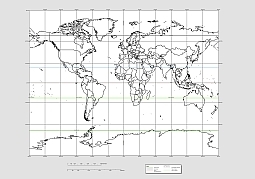 World map with graticules and scalbar.